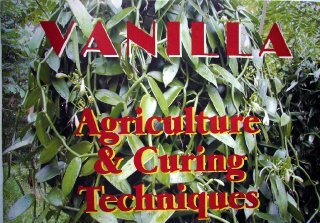 If you’re even thinking about starting a vanilla plantation, you must buy Piero Bianchessi’s Vanilla: Agriculture & Curing Techniques (2004). The first section covers planting, propagating, and maintaining a plantation. The second section illustrates the curing and grading process. Full color pictures help identify common pests, diseases, and symptoms of unhealthy plants. This is THE GUIDE to starting a vanilla plantation. Read more about it at the bottom of the Venui Vanilla page. I want information about the book and am interested in the plantation of vanilla in Bangladesh. I would appreciate it very much if you can provide the details. Thanks.